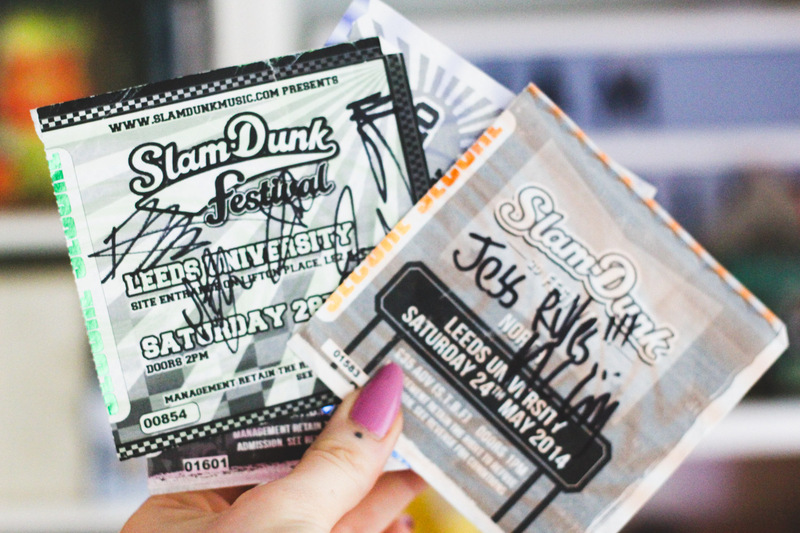 Real talk now lads, Slam Dunk is something I get so stupidly excited for each year. My favourite bands play, I get to spend the day with my favourite friends and it's where I've made some of my favourite memories. As the festival is this month [I can't bloody WAIT] every Friday to the lead up to the weekend, I'll be posting a Slam Dunk related thangggg to get you into the Slammy D mood. I'm kicking things off with a rundown of my top 5 memories from a decade of attending SD - ya gals got a whole bunch so it was hard to whittle them down. 2) New Found Glory walking out to ''Party in the USA'' by Miley Cyrus and making my life complete. 3) Meeting MC Lars and getting him to call my mum as she also is a super fan, he later signed a CD for her with ''To Liz, you have great genes''. That she does my friend, that she does. 4) Going to the after party and getting Thomas Erac from Chiodos/The Fall of Troy to sing to Stacy's Mom with me for him to afterwards ask James if I was ''always this pumped''. The answer my friend is always yes. 5) Watching Panic play headliner in 2016 and basically being blown away by Brendon Urie and his insane talent.